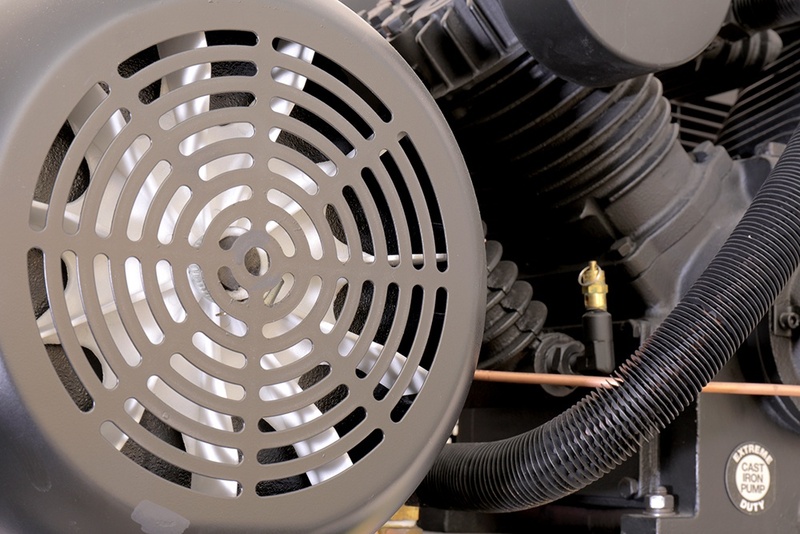 The motors of BendPak's Elite™ air compressors are made to save energy and maximize the potential air output of almost any sized shop. Its high efficiency also means lower operating costs, no matter how long it runs. Each twin piston pump utilizes splash lubrication and a finned cylinder configuration for 360° cooling. An intercooler and air-cooled aftercooler significantly chill the air, which means low temps and next-to-zero condensation. 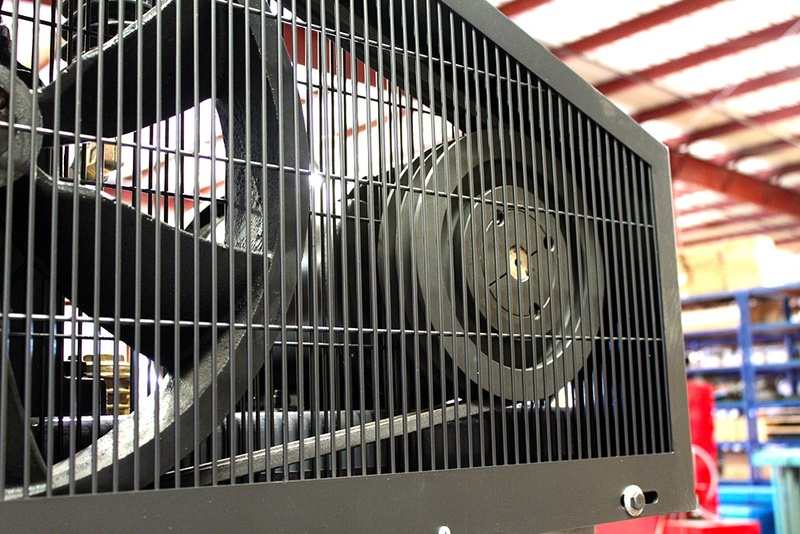 Because the energy-efficient motor of each Elite air compressor runs at such low temperatures, there's greater air output, and the pump runs at a lower speed. The effect is a quieter machine that's ideal for both home and commercial use. You'll own this air compressor for years with little to no maintenance, because everything we just described about this compressor ensures a longer lifespan with fewer problems. Not to mention, this model is exceptionally budget-friendly, so there's no tradeoff in quality vs. cost whatsoever. BendPak is the industry leader in automotive shop equipment, and we're dedicated to getting you exactly what you need, so you only pay for what you want. 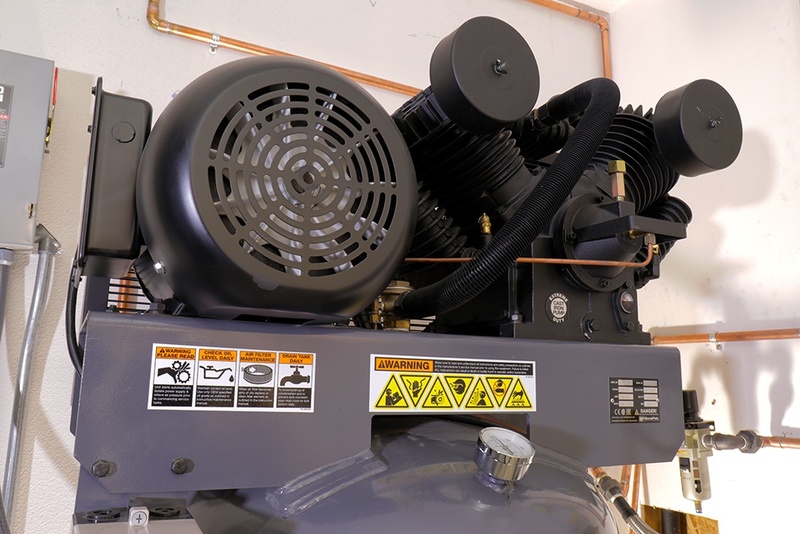 The 5 HP motor is our most compact version, but we offer 7.5 and 10 HP air compressor varieties as well, so larger shops can get greater CFM output when the job calls for it.